So these both websites now same and they make tehirself more popular. Also Funyo USA, Funyo Russia, Funyo Turkey etc available. See chatrandom.com for chatting or try xat added above (when you click chat image). 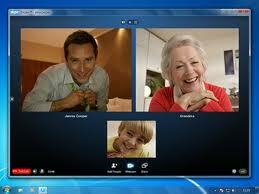 To see best random chat sites look at Best Video Chat Sites. You can try Manycam or programs like it, see how to use fake webcam post. Also have a look to chatroulette USA to chat with American people online.